The result was out yesterday and I've passed my paper!! So that's three papers done and dusted. The tougher papers are due next. I've chosen P6 - Advanced Taxation (MYS) as one of my optional paper. My class at KDU will start this week; coincides with my honeymoon trip though. That's a bugger. Last week I went to KDU for the Academic Briefing. There's only 13 of us, transferred from Unitar. A big majority are taking F papers. I'll be on my own again in the new class. But that's never been an issue. We had a talk with MyPAC, advisor from KDU and also had the campus tour. The campus is quite small so that doesn't take long. 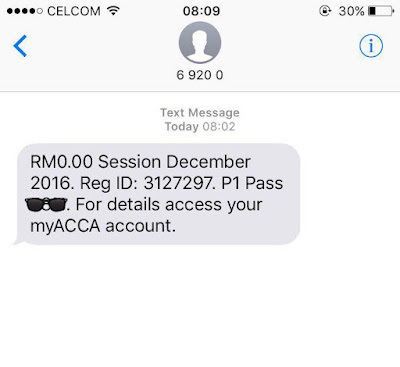 It turns out that KDU's ACCA class structure involves progress tests, mock tests and assignments. Assignments! 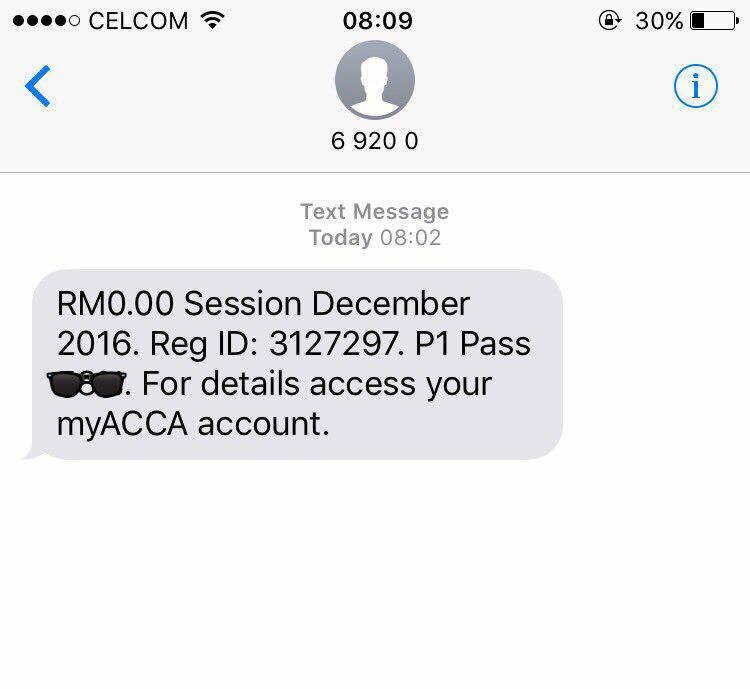 I thought the whole notion of ACCA is; closed book exam without assignments / carry marks. 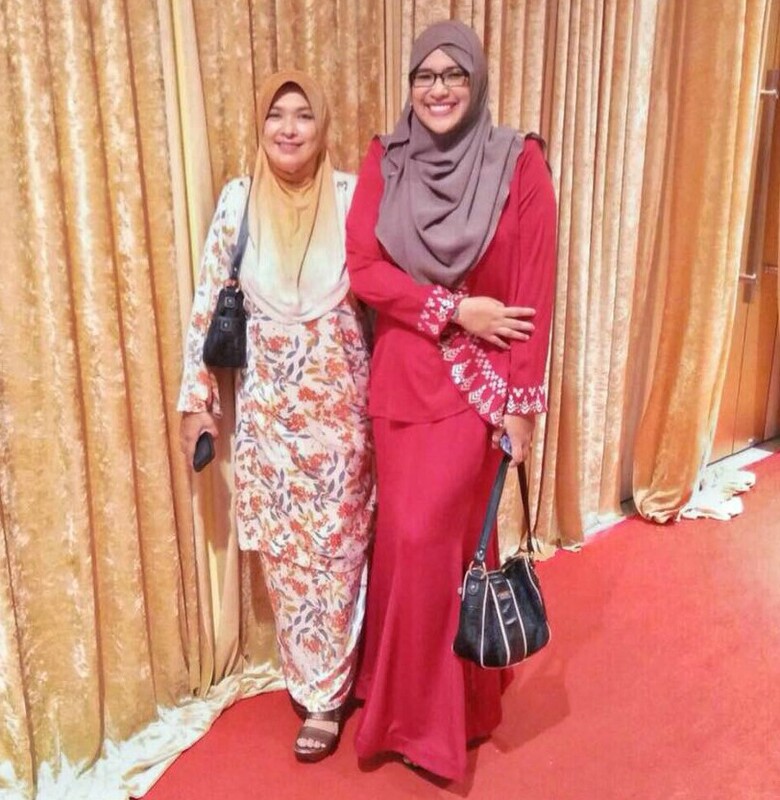 But I do understand the reason behind it and perhaps that's the reason why KDU is certified Platinum status by ACCA. The final exam would be on 8th June (Thursday) and I'm planning to attend Siva Nair's IRC on top of the usual classes at KDU.